This October, THEMUSEUM is inviting you to get awkward with the opening of Awkward Family Photos. 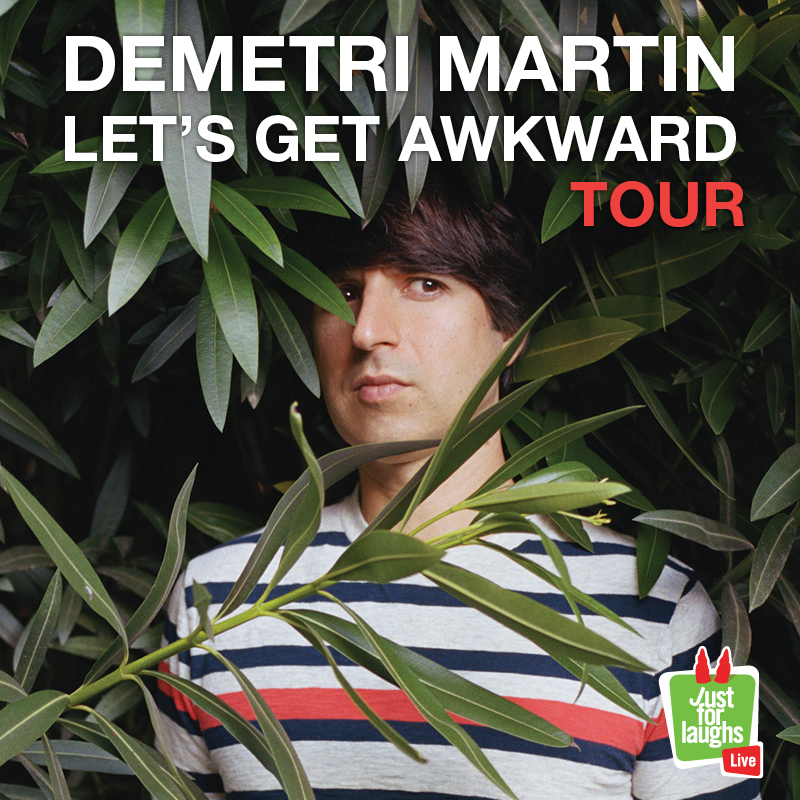 To celebrate all things awkward, we’ve teamed up with Just for Laughs to give away tickets to Demetri Martin’s Let’s Get Awkward Tour. Demetri’s show will take place at Centre in the Square in Kitchener on Thursday, October 19th, 2017. Demetri Martin started doing stand-up comedy in New York City. Then he worked as a staff writer at Late Night with Conan O’Brien. After that, he became a regular performer on The Daily Show with Jon Stewart. In 2003, Demetri won the Perrier Award at the International Fringe Festival for his first one-man show, If I. Demetri released three hour-long standup comedy specials, including his latest for Netflix in 2005, titled Demetri Martin Live. He also created his own television series for Comedy Central called Important Things with Demetri Martin. Martin has appeared in several feature films and television shows, including Ang Lee’s Taking Woodstock and Showtime’s House of Lies. His previous tour, Telling Jokes in Cold Places, sold out, too. So, you won’t want to miss his Just for Laughs show! How do you enter to win tickets to this awesomely awkward show? It’s EASY. Simply share these posts on Twitter or Instagram using the hashtag #THEMUSEUMGetsAwkward for a chance to win! We’ll be selecting two lucky winners to receive two tickets on October 11th, 2017. Awkward Family Photos invites you to celebrate less than picture-perfect moments in an exhibition that explores ten family themes: The Family Portrait; Siblings; Vacation; The Kids; The Holidays; Weddings; Dad; Mom; The Grandparents; Birthdays; and The Family Pet. As far as a perfect definition of awkwardness, it may not exist. Awkward Family Photos opens on Wednesday, October 4th, 2017 at THEMUSEUM. Be sure to check out THERECROOM when you visit for a throwback experience and ongoing retro programming!